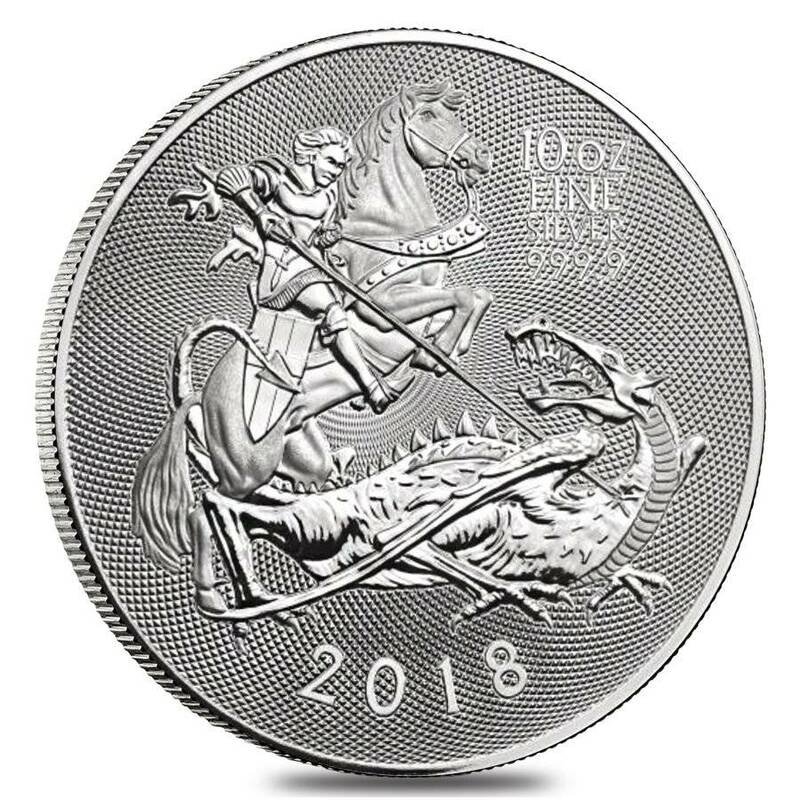 The design of St. George and the dragon is one of The Royal Mint’s most popular and globally well-known. This year, the design has been reimagined by Etienne Milner, a sculptor celebrated for his rich and realistic depictions. Excitingly, this will be the first coin released by The Royal Mint with an incuse design. An incuse design coin has its images pressed beneath the surface of the coin. This helps protect the design from wear and tear and against aging. The obverse of this exciting new release features the Milner design of St. George defeating the dragon, even more, incredible in incuse. 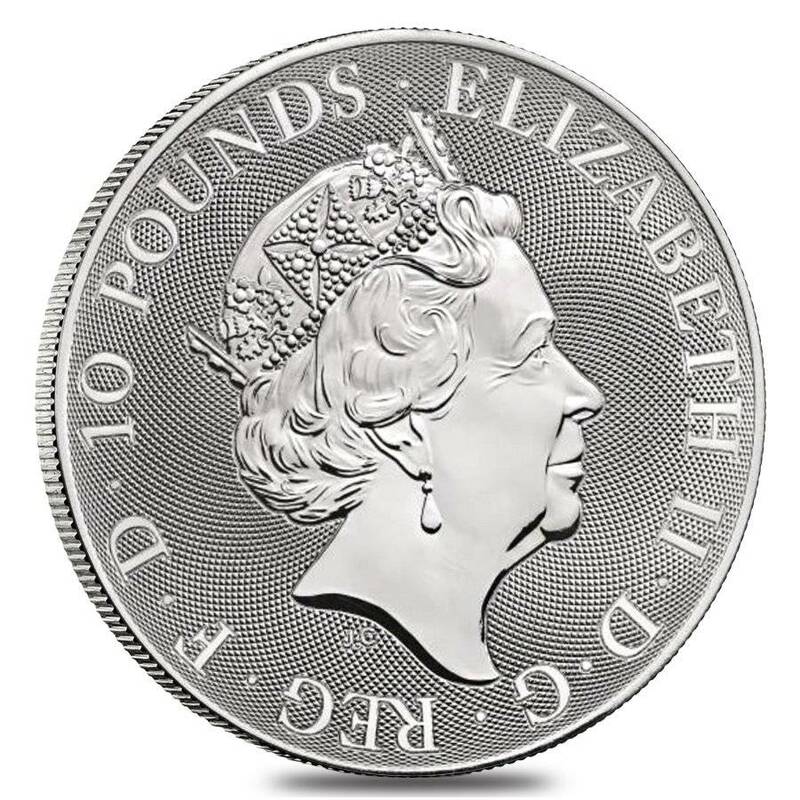 The reverse shows the classic Jody Clark profile of Queen Elizabeth II, enhanced further with a new guilloche design. Don’t miss out on adding this beautiful new coin to your collection. Order now! Made from 999.9 fine silver with a weight of 10 oz. Obverse: Features brave St. George, charging the evil dragon atop his rearing horse. Year of mintage inscribed across the bottom edge. 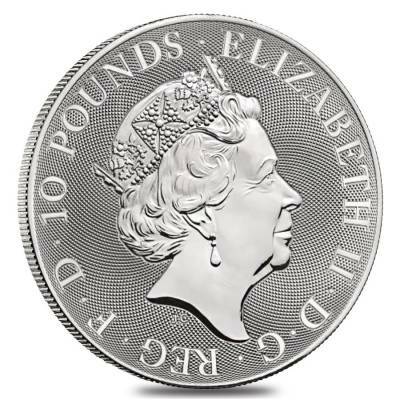 Reverse: Depicts the classic right-facing portrait of Queen Elizabeth II by the mint’s designer Jody Clark. Inscribed with the face value and “ELIZABETH II D.G. REG F.D.”. With this purchase, you earn 181 Bullionaire Bucks 181 BB = $0.18.